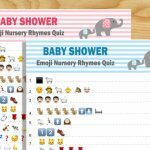 Today I made this very popular and classic Old Wives’ Tales Trivia Quiz- Free Printable Baby Shower Game in 3 different colors along with an answer sheet. Play this game with your baby shower party’s guest and see if they know what old wives’ used to say about different pregnancy signs. 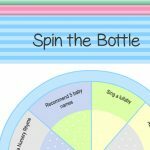 I have made a printable for this game in blue color for a boy baby shower, in pink for a girl baby shower and also in a gender neutral green color. 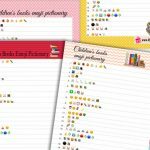 You can download and print any printable that you need. 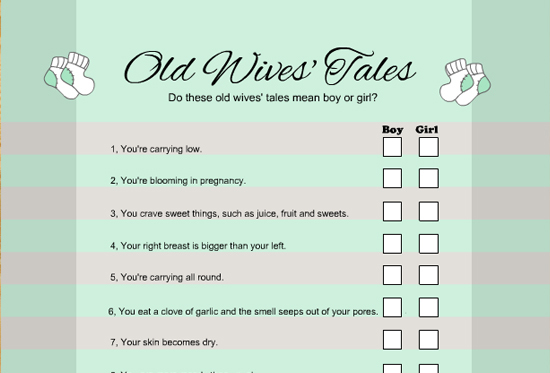 Print and distribute these Old Wives’ Tales game cards among your baby shower party guests along with a pen or pencil. Ask them to tick the answer that they think is right. Read the answers from the answer sheet at the end. The person with most correct answers will be the winner. Click on this blue thumbnail image of this game and then right click and save the bigger image for your boy baby shower. 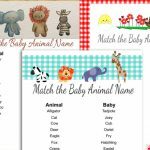 This is a beautiful, simple and very charming game card and your baby shower party guests will love it. This is another charming free printable game card in pink color. 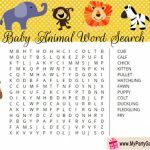 You can print it for a girl baby shower and play it with your guests. 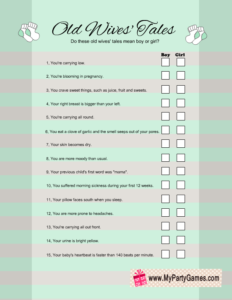 This is another free printable image for this game in green color. 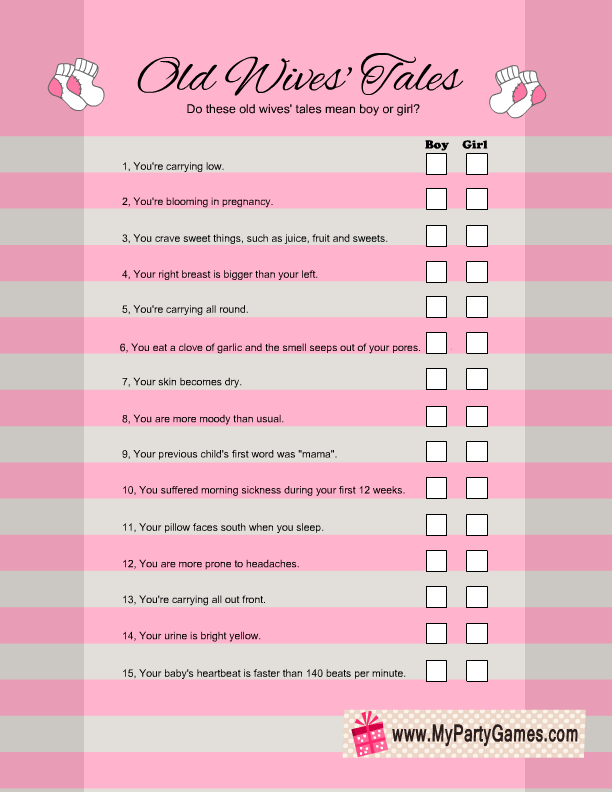 You can use it if mom to be doesn’t know or doesn’t want to disclose the gender of the baby. 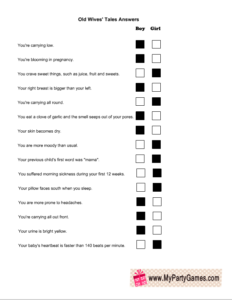 This is the free printable answer sheet for this game. You will be needing only one copy for this. 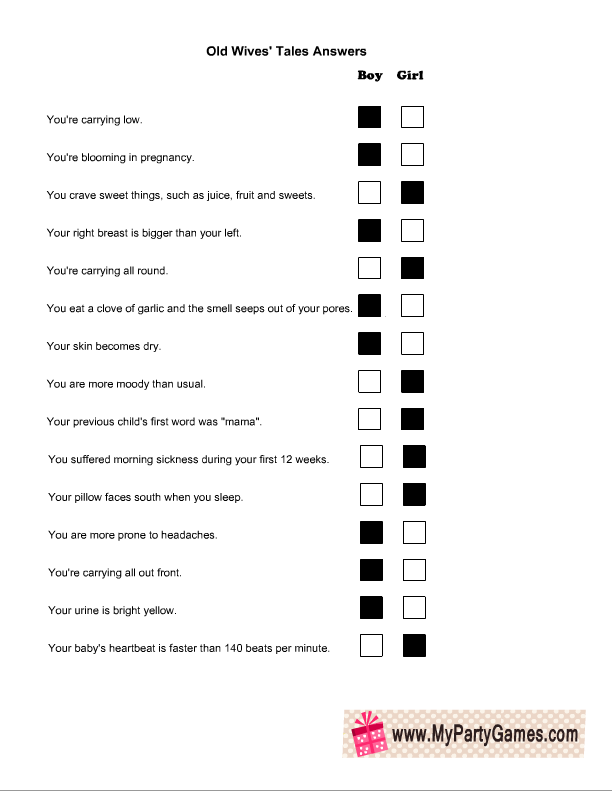 The right answers are marked in black color.